Yesterday, I began a series of posts looking at how format changes over the last 30 years have shaped the way that I have organised and listened to music. I was also lamenting the fact that there was no digital file recording my music 'attention data' over all those years. My 'most listened to' playlist on iTunes only covers the years since I have had an iPod, rather than including the musical 'highlights' of my youth. I got into listening to music at a very early age. My parents used to have records or the radio on around the house a lot, and some of my earliest memories revolve around music. 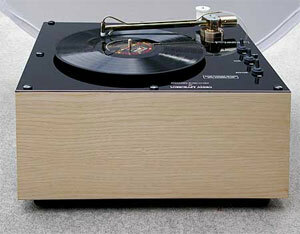 I remember, for example, when I first found out about the difference between stereo and mono. 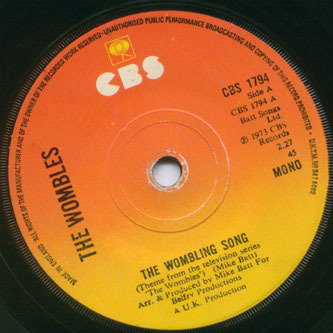 I had the theme tune to The Wombles on a 7" single on the CBS label. 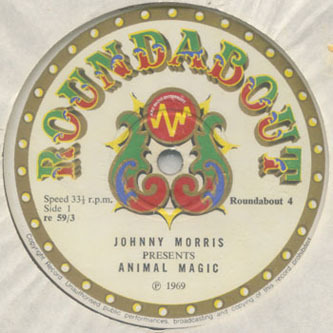 The A-side was labelled 'mono', but the B-side, the vastly superior "Wombles Everywhere" was labelled 'stereo'. After all, before the advent of NICAM digital stereo, why would you need to record the A-side TV theme tune in anything other than mono? I played the mono side one evening when my Granddad was at home babysitting, and said to him that even though it said 'mono', I could hear music coming out of both speakers. I had even then, with the makings of a true pedant and someone who understands the concept of 'test scripts', made a point of listening to the same part of the record on separate occasions with my ear pressed alternately to the left and right speakers. This was to ensure I wasn't being fooled by some sneaky speaker-switching. Granddad patiently explained about how the sound would be the same in both speakers if a record was 'mono', but different in each speaker if the record was 'stereo', which at the time would have still been a reasonably new-fangled consumer experience at just over a decade old. The metadata associated with records marketed at children is subtly different to those marketed at adults. Well, not so subtly actually. Bright colours, icons and shapes were the order of the day in the 1970s. A couple of the 'kids' records jointly owned by me and my sister even distinguished themselves by being on multi-coloured 'splatter' vinyl, rather than on the regular dull black stuff. Those were the only important bits of information I needed - the record featured the music from my favourite TV show, and I could afford it. There were no artist credits on the record, as the tunes were cover versions being performed by faceless session musicians. 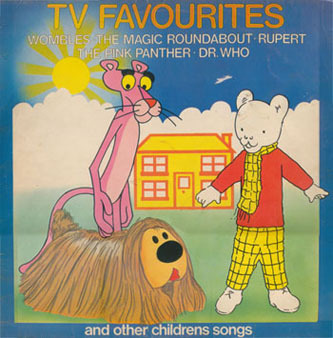 The only copyright messages were for the images of Rupert The Bear, the Pink Panther and Dougal used on the front cover. 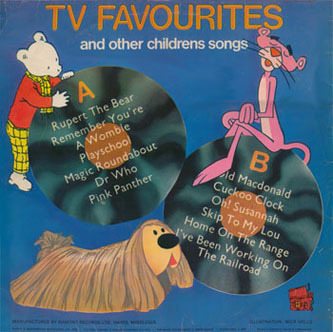 The outside of the "TV Favourites" album may have been aimed at children, but the inner sleeve featured advertising aimed squarely at adults. 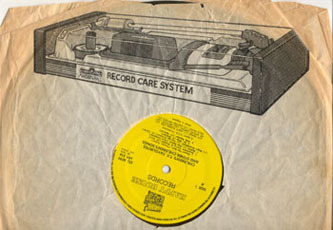 Adults who might, for example, want to look after their child's new scratch-prone vinyl record purchase with the ultimate music accessory - the Marsden Hall Record Care System. Of course, the aspirations of the advert weren't just for adults. Oh, how I dreamed of the day when I grew up and would be allowed to have my own "Record Care Centre". The fun I would have cleaning and polishing my fledgling collection of records. Who could ever tire of such a rewarding activity? Little did I know, of course, that at one point in the future I would be earning my living by spending most of the day cleaning vinyl in the mail order department of Reckless Records - and it wasn't quite so much fun after all! This nostalgia for my childhood records has been fuelled by the realisation that since I adopted the iTunes / iPod combo as my principle means of listening to music, I have a very detailed list of what I have listened to in the last two years. The thirty-or-so years before that are a complete mystery, and I'd love to be able to re-capture that data. Released on the Roundabout label, it and the "TV Favourites" album were still part of the tiny remnants of my vinyl collection that eventually got shipped from the UK to Crete. It dates from 1969, a couple of years before I was born, and was some kind of family-hand-me-down. I never had an outer sleeve for it. Playing it was a fantastic imaginative journey for a child. It tells the story of how a street populated with animals gradually wakes up, commutes to work, and comes home. 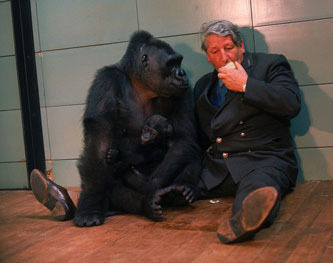 All of the sound effects are supplied by the animals themselves, as Johnny Morris narrates the story. So the grunting of the fallow deer becomes the failed attempt to start an old scooter, the hissing of porcupines is them cooking a sizzling fry-up for breakfast, the woodpecker is working the drill on a building site and so forth. 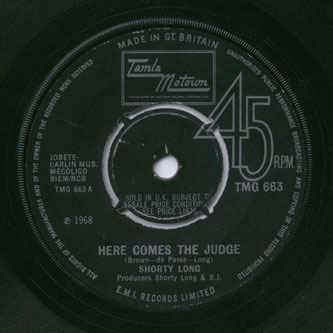 Other records from my very young years that might just creep into an all-time chart of my listening behaviour would include a 1960s album by Pinky & Perky that, for some inexplicable reason, was housed in the sleeve of a Burl Ives record, "Here comes the judge" by Shorty Long, and "Gimme dat thing" by The Pipkins. "Mum? Mum? MUM!!! 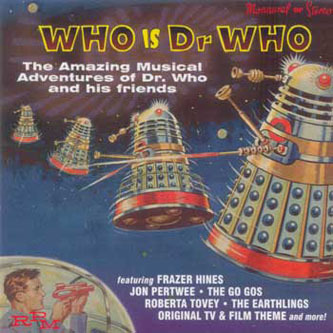 Can you put my Doctor Who record on!" Bright colours and cartoon characters - the written word not so important. Shouting at mum to put my records on. The Wombles, The Muppets, Jonny Morris, Doctor Who theme on 'TV Favourites', Wally Whyton, Pinky and Perky. I'll be continuing this series with a look at the impact of the arrival of the 'Compact Cassette' in my house during the 1970s - and how it changed the way that I made playlists and listened to music. By Martin Belam on 11 July 2008. 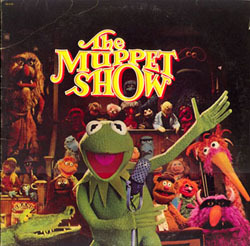 My mum was probably on that Muppet Show album. She definitely used to drive up to Brum to record stuff at ATV for the show.